Button mushroom have a short postharvest shelf life compared to most vegetables, due to a very high metabolic activity and high water content. This makes them prone to microbial spoilage and to exhibit enzymatic browning. 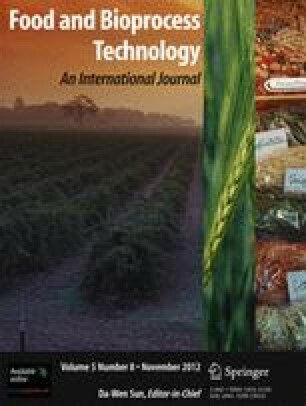 In this research, the effects of aloe vera, gum tragacanth, and combination of both as edible coatings on the shelf life and postharvest losses of mushrooms were studied. Physical characteristics, general appearance (color and texture), weight loss, and carbohydrate percentage were evaluated during storage. Mushrooms were stored at 4, 10, and 15 °C for 13 days and physicochemical characteristics were analyzed after 2, 4, 6, 8, 10, and 13 days of storage. During cold storage, the uncoated mushrooms showed rapid weight loss, color changes, and accelerated softening while mushrooms treated with aloe vera gel, gum tragacanth, and the combination of both significantly delayed these phenomena. Among different coatings, the combination of aloe vera and gum tragacanth was more effective. Singla, R., Abhijit, G., & Ghosh, M. (2010). Physicochemical and nutritional characteristics of organic acid-treated button mushrooms (Agaricus bisporous). Food and Bioprocess Technology. doi: 10.1007/s11947-010-0457-7.